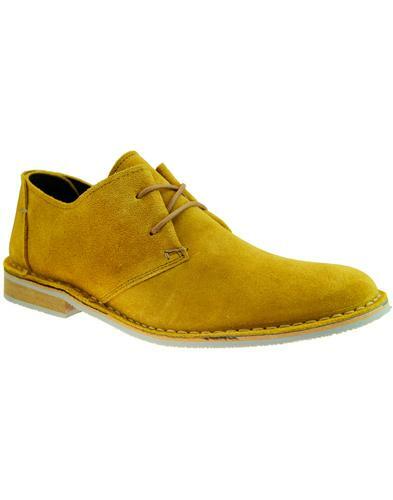 Delicious Junction 'Connett' men's 1960s mod suede shoes in ginger. 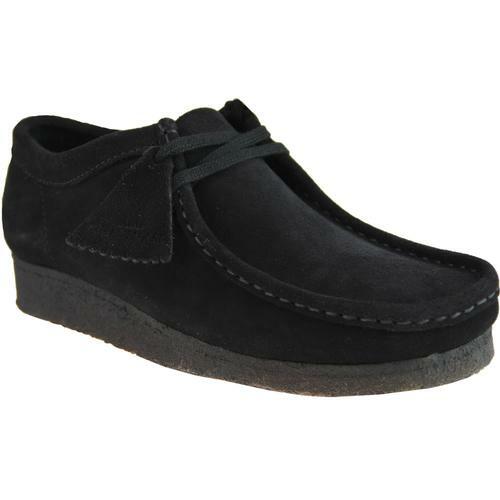 Featuring an exquisite punched dark brown leather trim that accentuates the eyelet facing and foothole. 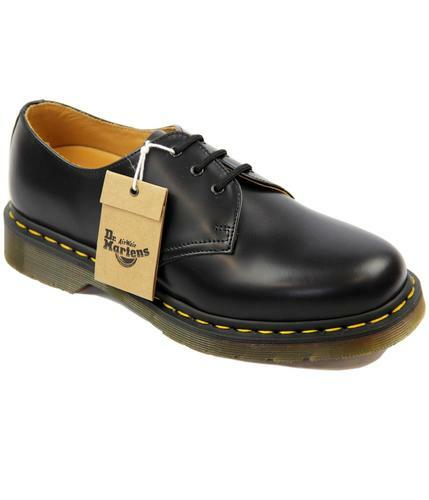 The unique silhouette is inspired by 1960s Mod fashions and incorporates a cool Retro squared off toe, stitch down upper and classic crepe sole. Finished with punched detailing to the soft suede upper. 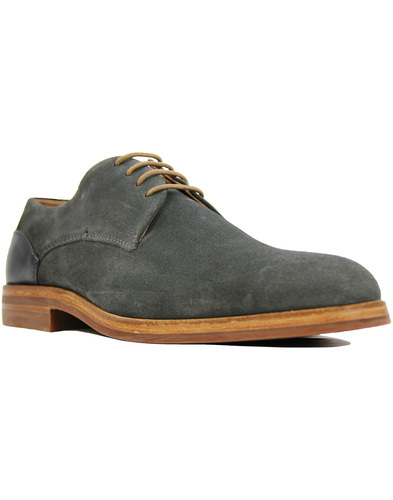 Delicious Junction 'Connett' men's suede shoes are sure to add a distinctive edge to your casual Mod ensemble. 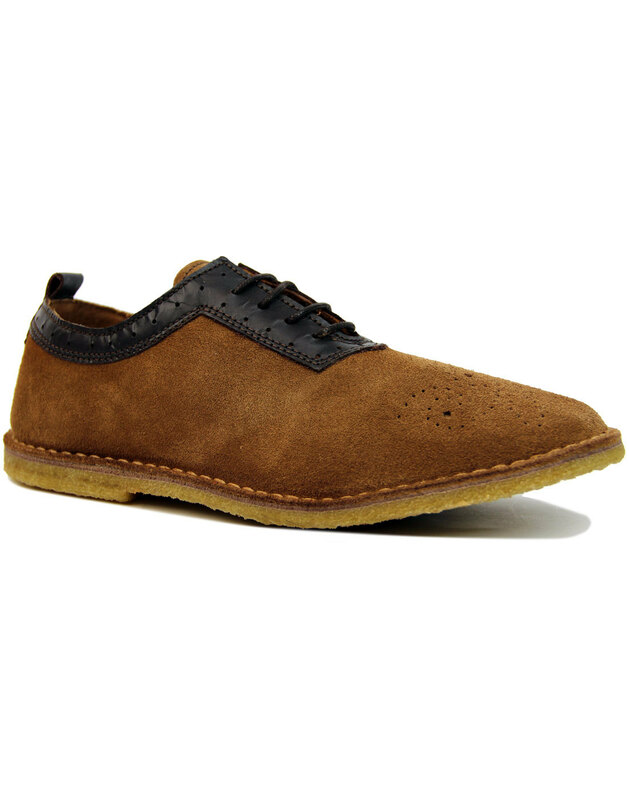 - Delicious Junction 'Connett' men's 60s mod suede shoes in ginger. - Dark brown leather retro trim with punched detail. - Slightly squared off toe. - Loop to back to help ease the shoes on and off. - Punched detailing to front.